Please read carefully the booking conditions below. 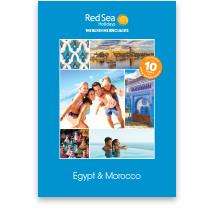 These set out the Terms and Conditions of the contract between you and Red Sea Holidays UK Ltd, trading as Red Sea Holidays (‘we', ‘us' and ‘our'). We are a limited company, registered in England. Our registered company number is 06418075 and our registered office is 5 New Street Square, London EC4A 3TW. The contract will be governed by English Law and any dispute, claim or other matter which may arise in relation to your booking will be dealt with in the Courts of England and Wales. If you live in Scotland or Northern Ireland, you may choose to deal with any dispute in the courts of Scotland or Northern Ireland, as appropriate. These Terms contain some exclusions and limitations of liability. If any part of the conditions proves to be invalid or unenforceable, the rest of the conditions will remain valid. The person who signs the booking form, or completes the booking online or by telephone is the ‘Lead Name'. He or she must be at least 18 years of age at the time of booking and will be responsible for the full cost of the holiday, including any insurance premiums and cancellation or amendment charges. We will send any documents and other information regarding the booking to the Lead Name who is responsible for providing other members of the travelling party with full and accurate information, including details of any changes, and for confirming that all members of the party agree to be bound by these conditions, and the other information published in the relevant brochure or our website. If you are making the booking on behalf of a minor under the age of 18, who is not travelling with a person aged 18 or older, we require a letter of consent from a parent or legal guardian. The minimum age of unaccompanied travel is 16 years on the day of departure. All bookings are subject to our Terms in conjunction with the information in our brochure or website, and any restrictions described in our Holiday Information guide. Our contract with you is made when we accept your holiday enquiry and send you a confirmation invoice, at which point we will set aside your chosen accommodation and transport. We will send you or (if you are booking through a travel agent) your travel agent a confirmation invoice within 7 days. Please check that the holiday on the invoice is the one that you wanted. We are responsible for providing the holiday we have confirmed to you. If you cancel or alter your booking later on, you may have to pay an amendment charge. If you book within 7 days of your departure date or if there is not enough time to send you a written confirmation, a contract between us will exist when we confirm your booking. All prices advertised are accurate at the date published, but we reserve the right to increase or decrease any of those prices from time to time, and to correct any errors in the advertised prices. The price for your holiday package will be confirmed at the time of booking and will include all charges and any UK taxes or governmental levies that apply to your holiday at the time of booking; subject to the correction of errors, we will only change the price in the circumstances described below. Price increases or decreases after booking will be passed on by way of a surcharge or refund. A surcharge or refund (as applicable) will be payable, subject to the conditions set out in this clause, if our costs increase or decrease as a result of (as applicable) transportation costs, dues, taxes or fees payable for services such as landing taxes or embarkation or disembarkation fees at ports or any changes in the exchange rates which have been used to calculate the cost of your holiday. Even in the above cases, only if the amount of the increase in our costs exceeds 2% of the total cost of your holiday (excluding insurance premiums and any amendment charges) will we levy a surcharge. If any surcharge is greater than 10% of the cost of your holiday (excluding insurance premiums and any amendment charges), you will be entitled to cancel your booking and receive a full refund of all monies you have paid to the Company (except for any amendment charges) or alternatively purchase another holiday from us. You have 14 days from the issue date printed on the surcharge invoice to tell us if you want to cancel your holiday or purchase another holiday. If you do not tell us that you wish to do so within this period of time, we are entitled to assume that you will pay the surcharge. Any surcharge must be paid with the balance of the cost of the holiday or within 14 days of the issue date printed on the surcharge invoice, whichever is the later. We promise not to levy a surcharge within 30 days of the start of your holiday. No refunds will be made within this period either. The exchange rates we use are calculated and updated bi-annually by reference to the FTO base date with exchange rates as published in the Financial Times under the section ‘FT Guide to World Currencies'. We have included in our prices a charge representing the extra aircraft insurance and security costs, which have been imposed on airlines and tour operators. You should be aware that this charge may change between the date of publication and the time of travel. Since these costs are beyond our control, we reserve the right to increase the amount of this charge at any time. We will of course inform you of any such change should that become necessary. We have included in our prices an estimate of fuel costs based on our forward view of oil prices at the date of publication. In view of the current volatility of world oil prices, a fuel supplement may be added to the price of your holiday at the time of booking. We provide full financial protection for our package holidays, by way of our Air Travel Organiser's Licence number, ATOL 9749. When you buy an ATOL protected flight or flight inclusive holiday from us you will receive an ATOL Certificate. This lists what is financially protected, where you can get information on what this means for you and who to contact if things go wrong. 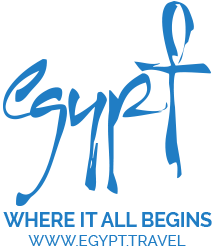 We will provide you with the services listed on the ATOL Certificate (or a suitable alternative). In some cases, where we aren't able do so for reasons of insolvency, an alternative ATOL holder may provide you with the services you have bought or a suitable alternative (at no extra cost to you). You agree to accept that in those circumstances the alternative ATOL holder will perform those obligations and you agree to pay any money outstanding to be paid by you under your contract to that alternative ATOL holder. However, you also agree that in some cases it will not be possible to appoint an alternative ATOL holder, in which case you will be entitled to make a claim under the ATOL scheme (or your credit card issuer where applicable). For further information visit the ATOL website at www.atol.org.uk. We accept payment in cash, by cheque and by major credit and debit cards. Cheques require 5 working days to clear, and will only be accepted where they will clear at least 10 weeks prior to departure. If you book through a travel agent, any money which you pay to that travel agent under or in contemplation of any contract with us is held by them on our behalf until the date of actual payment to us. It is a condition of your contract with us that you have insurance cover for the duration of your trip, and that it is adequate for your needs and the type of activities you will be undertaking as part of your holiday. We do not check insurance policies; however we reserve the right to request written details (insurer's name, policy number and emergency contact number) of your policy. You are responsible for indemnifying us in full in the event that we incur any losses or expenses arising out of your failure to take out adequate insurance cover. Your travel documents will be issued as an "e-ticket". For direct bookings, the e-ticket will be sent to the email address you provide at the time of booking. For bookings made through a travel agency, the e-ticket will be emailed to the travel agency's designated email address. I you require a ticket to be reissued, an administration fee of £25 will apply. Excursions include sightseeing trips, diving packages, golfing, events and other tours in resort for which additional payment is required. These can either be pre-booked and paid for when you book your holiday, or booked and paid for in resort. We are acting in the capacity of an agent for the supplier in the sale of excursion tours and tickets. When making an excursion booking, you accept that you are entering into a contract directly between the excursion provider and yourself. The excursion providers' terms and conditions will apply. If you decide to cancel your booking, then you may be liable for the full cost of the excursion booked; this will be up to your excursion provider. We do not have any responsibility or liability for anything which may go wrong on an excursion. It is your responsibility to note carefully any conditions of contract contained in any excursion literature, ticket or receipt you are given. You may be subject to the laws of the country in which you take your excursion and may be required to bring any disputes or claims before the Courts of that country. Excursions do not form part of your Package and are not governed by the Package Travel, Package Holiday and Package Tours Regulations 1992. For advice on amending a booking, please contact us in writing. We allow changes to be made to bookings already made, providing that these change requests are made to us at least 21 days before departure. Change requests must be sent to us at Red Sea Holidays, 2nd Floor, 4 Snow Hill, London EC1A 2DJ. The Lead Name must sign the letter. With the exception of name changes, you may not make changes to your booking within 28 days of departure. You may however cancel your booking within this period subject to the payment of cancellation charges as outlined within our cancellation policy. At all other times, you may make changes to your holiday subject to the payment of the appropriate amendment fee(s). The amendment fee(s) may vary based upon the type of amendment being requested and the number of days prior to travel at which we receive your change request. Amendment fees shown are per person, per change. Your amendment will not be confirmed until you are in receipt of the revised notice. Where you make a change to your booking that is subject to the payment of an amendment or administration charge, then this charge must be paid in full at the time the amendment is first made. Amendment, administration and credit card surcharges will not usually be refunded should you subsequently cancel your booking. Where you request a change to any additional third party products or services booked to complement your holiday, they will incur an amendment charge equal to any unrecoverable financial commitment made to the product or service provider by Red Sea Holidays on your behalf. The third party will usually have their own terms and conditions related to the product or service provided to which you should also refer. The date of travel can only be amended once per booking and the revised departure date must be within 6 months of the original departure date. Any subsequent changes to the date of travel or requests to depart more then 6 months from the original departure date will be treated as a cancellation: cancellation charges will apply and a new booking must be made. Where you make multiple changes to any combination of either your travel date, your holiday duration, the property at which you will be staying or your flight arrangements within a single transaction, Red Sea Holidays will usually only charge a single set of amendment fees per person and not a cumulative charge per change. Charges for all other amendments, for example to change passenger details, will usually be charged cumulatively per change. If people drop out of your party, we will recalculate the cost of the holiday for the remaining travellers. If fewer adults share the accommodation, you may have to pay the extra room charges shown in this brochure. We cannot guarantee a twin room for the remaining customer from a party of two. One person who occupies a twin room will probably have to pay a significant extra charge. a) The full brochure price applicable on the day you request the amendment, including supplements and any brochured discounts that apply at that time. Excludes late adjustment discounts. b) The late deal selling price for the same holiday on the day amendment is requested if this is higher than a). a) The holiday selling price applicable at the time of your original booking, including supplements and the late adjustment discount that applied at that time. If you want to make changes while you are away on holiday, for example to upgrade your accommodation, we will try to help. These changes are subject to availability and must be paid for locally. You should notify us of any changes as soon as you are aware of them? Most airlines treat name changes as cancellations and impose extra charges, which you will have to pay. If you make changes after an airline ticket has been issued, you may have to pay for the cancelled ticket and buy a new ticket at full cost. To cancel the entire holiday, the Lead Name must write to our Administration Department by recorded delivery at the address on your booking confirmation. Cancellation takes effect on the date we receive your letter. If you cancel after we confirm your booking, you must compensate us for losses, as we incur costs from the moment you make the booking. The full deposit for a holiday is £150 per person. If you booked using a low deposit offer, the balance of the full £150 deposit will need to be paid in full upon cancellation, if you have not already paid it. If your booking includes a flight based on a non-refundable restricted fare, the cancellation charge may be higher, in some cases up to the full amount of the booking. We will provide details of this after we receive your cancellation instruction. No refunds are offered for taxes and charges associated with cancelled or unused flights. • a significant increase in the price of your holiday. Any change in the airline or the type of aircraft from that stated in the brochure/website or on your ticket does not count as a Major Change. ‘Unavoidable Event' means unusual and unforeseeable circumstances beyond our control or the control of our suppliers, resulting in events that could not have been avoided even if all reasonable care had been taken. Such circumstances include (but are not limited to) war or threat of war, riot, civil strife, industrial dispute, unavoidable technical problems with transport, closure or congestion of airports, terrorist activity, natural or nuclear disaster, fire and adverse weather conditions (including heavy/ insufficient snowfalls or non-freezing conditions). We hope that we will not have to make any change to your holiday but, because our holidays are planned many months in advance, we sometimes do need to make changes. Most changes are minor and we will always tell you as soon as possible before your departure. In such circumstances, we will have no liability to you. Occasionally we may need to make a Major Change (see Definitions above). We reserve the right to do this at any time. We will let you or your travel agent know about any important changes when you book. If you have already booked, we will let you know as soon as we can, if there is time before your departure. If we do, you must tell us as soon as possible so that you can decide if you wish to accept the change or cancel the holiday with a full refund. • ask for a refund of the money you have paid. If you accept a Major Change, or if we Cancel your holiday, we will, as a minimum, compensate you according to the scale below, in addition to any refund. We will not pay compensation when the change or cancellation is due to an Unavoidable Event or because the number of persons who have booked is less than that required for the package.If you have paid reduced rates for children, we will pay credit or compensation on a pro rata basis of the adult rate. Children travelling on free child places, and infants, are not entitled to compensation. In the event that you are unable to board your flight due to a problem within our control (you are ‘denied boarding') we will provide welfare as appropriate for the period of any delay. If any similar alternative flight offered is not acceptable, you have a right to reimbursement of the cost of any flight (youshould note that this is not a right to reimbursement of the full holiday cost unless the above paragraph in relation to cancellation applies). You will also be entitled to compensation, according to the length of your flight on scales laid down by the European Commission, details of which are available on request. A minimum number of people need to book to enable the advertised holiday to take place. If this number is not achieved and we have to cancel your holiday we will tell you immediately, at least 6 weeks before departure. We will refund the full cost of your holiday and the insurance premium, unless you obtained cover with another company. Where we cancel for this reason you are entitled to the options detailed in the paragraph ‘If we change or cancel your holiday', but you are not entitled to compensation in these circumstances. All references in this section to "you" and "your" include any other person in your party. You and your party must behave reasonably on holiday. We reserve the right, at our discretion, to refuse to accept you as a customer or to terminate your holiday if you indulge in behaviour that is disruptive, threatening or abusive, if you damage property, or if you disturb, upset, put at risk or endanger any other traveller, our staff or our agents, whether in the UK or overseas. If any of our staff, agents, airline flight crew or cruise ship crew or believes that you could be disruptive or are suffering from a contagious disease, they can refuse to let you proceed with your travel arrangements, restrict your movements on board, disembark you from a ship or aircraft, or remove you from your accommodation or excursion. If you are prevented from boarding your outbound flight from the UK, we will treat your booking as cancelled by you and you will be liable for cancellation charges as detailed in the "If you cancel your booking" section. If you are prevented from boarding your return flight from overseas, you will be responsible for arranging your own return travel arrangements and those for any other members of your party who can not or will not travel without you. Should you be refused flight carriage because of your behaviour or because you are under the influence of alcohol or drugs, the airline may pass the details to other airlines for their information, which may make it more difficult for you to book other airline tickets. We will not pay any refund or compensation in any of the above circumstances, and we will not be liable for any additional costs or expenses you incur. In addition, we reserve the right to make a claim against you for any damages, expenses and costs, including legal costs, that we incur as a result of your behaviour, including (but not limited to): repairing or replacing property lost, damaged or destroyed by you; compensating any traveller, staff, agent or crew affected by your actions; delay or diversion of aircraft for the purpose of removing you. Criminal proceedings may also be instigated. We will accept responsibility for your holiday as an ‘organiser’ under the Package Travel, Package Holidays and Package Tours Regulations 1992 as set out below. Subject to the other provisions of this Clause, we accept responsibility for ensuring that your travel arrangements, which you book with us, are supplied as described by us. If, after departure, any part of your travel arrangements are not provided as promised, due to the fault of our employees, agents or suppliers, we will pay you appropriate compensation, if this has affected the enjoyment of your travel arrangements. However, our liability in all cases shall be limited to a maximum of twice the value of the element not supplied excluding flights. The level of such compensation will take into account all relevant factors including the invoice price of the holiday, any steps it was reasonable for the client to take to minimise the inconvenience/damage suffered and the extent to which the deficiency or improper performance can have affected the client’s enjoyment of the package. c) consult your own GP upon your return to the UK. Should you wish to make a claim against us as a result of that illness, you must provide us with details of both the local doctor in resort and your own GP, and provide written authority for us to obtain a medical report from each doctor. It is a condition of the payment of compensation that you notify us of any complaint or claim strictly in accordance our complaints procedure and, further, assign to us any rights that you may have against any third party in connection with your claim. You must co-operate with us and our insurers in this regard. If you suffer a personal injury, death or serious difficulties as the result of an activity which does not form part of the package you booked with us – including for example any additional services or facilities provided to you by a hotel or any other supplier which was not included as part of the original contract between us – we will not be liable to pay you any compensation but will offer you such advice and guidance as is reasonable in all the circumstances provided we are advised of the incident within 90 days of the occurrence. d) the fault of anyone who was not carrying out work for us (generally or in particular) at the time. You can ask for copies of the transport companies' contractual terms, or the international conventions, from our offices: Red Sea Holidays, 2nd Floor, 4 Snow Hill, London EC1A 2DJ. The promises we give to you regarding the services we have agreed to provide or arrange as part of the contract, and the laws and regulations of the country in which your claim or complaint occurred, shall be used as the basis for ascertaining whether or not the services in question have been properly provided. If the services in question which caused the claim or complaint complied with the local laws and regulations applicable to those services at that time, the services shall be treated as having been properly provided. Such shall be the case even if the services did not comply with the laws and regulations of the UK which would have applied if those services had been provided in the UK. Where we are found liable for loss of and/or damage to any luggage or personal possessions (including money), the maximum amount we will have to pay you and your party is £25 per person in total. We strongly recommend that you and your party take out adequate travel insurance for your particular needs whilst on holiday and for the purpose of these Booking Conditions you and your party are assumed to have done so. If you or one of your party suffers personal injury, illness or death during the holiday through no fault of your own, we may, at our discretion, give you general and/or financial assistance. We may do this even though the damage may not be the result of one of our holiday services. We will only give you this assistance if you request it within 90 days of the event happening. The financial assistance is limited to £5,000 per booking. If your claim is successful or if you are insured for these costs, you must repay any financial assistance we give you as soon as you recover it. Our liability to you for any loss or damage which you may suffer is limited to two times the price of your holiday. This excludes personal injury resulting from the non-performance or improper performance of the services involved in the holiday, and is subject to the limitation of liability described below. In respect of travel by air, sea and rail, and the provision of accommodation our liability will be limited in the manner provided by the relevant International Convention. You can ask for copies of these international conventions from us. Health and safety standards applicable to the services provided by us under this contract should meet the local standards applicable to your holiday destination. However you should be aware that these vary widely across the programme and may well not match those standards we enjoy in the UK. Any compensation payable by us shall be limited in accordance with the lowest limit allowed under applicable International Conventions governing the services, or the amount you can recover from them under the laws of the UK or the country in which they operate. Transport operators have their own conditions of carriage, which form part of your contract with us. These conditions generally limit the liability of transport operators. The flights shown in our brochure and website are operated by UK, European and international charter airlines. We may change airlines or aircraft types at any time; this does not count as a Major Change. Some flights may need to stop en route. If we know about this in advance we will tell you. Flight times shown in our brochure and website and on your booking confirmation are not guaranteed. Actual flight times are shown on your tickets. A night flight means one that departs the UK between 22.00 hours and 05.59 hours, or arrives in the UK between 00.00 hours and 05.59 hours. You are reminded that Captains of aircraft have absolute authority over the aircraft and its passengers while boarding or in flight. The Captain or other authorised representative of the airline can refuse to carry anyone if they are unruly, unfit to travel, or a danger to the flight or other passengers. If you or any member of your party is refused carriage in these circumstances, the contract between us will terminate immediately and we will have no further responsibility for, nor liability to, you or any member of your party. We publish our brochure and website information many months in advance. As far as we know, all the information is correct at the time of publication. However, circumstances can change after publication, so our team of experts check regularly to see if we need to update the descriptions, information and prices shown. We will tell you of any changes that we know about when you book your holiday. If you have already booked, we will tell you of any significant change in circumstances that would affect your holiday as soon as we can before you leave. To respond to an enquiry, process a booking and provide services to you, we need to collect personal data from you and about you and other people who are travelling with you. By providing such information, you confirm your consent for us to process that data, and that you have the consent of the other people whose information you have provided. To provide you with services we must pass your information to other relevant suppliers of your holiday arrangements such as airline and transport operators and accommodation providers. Your personal information may also be passed to companies who act as data processors on our behalf, travel agents, tour operators, insurers, credit and fraud agencies, government and security agencies and to the public authorities of any country in your itinerary, including immigration and customs authorities. This may require sending your information to countries outside the European Economic Area (EEA) where controls on data protection may not be as strict as in the UK. We will only pass on information relevant to the service. We will work with any suppliers to ensure that any data passed to them is adequately protected and adheres to the levels of privacy and data security practised by us. We store and use your personal data for marketing purposes (for example, sending you a brochure, special offers or other marketing material by post or email) unless you have told us that you do not wish us to do so. You can ask us to stop at any time by asking a holiday adviser, clicking the “unsubscribe” link in the emails we send you, or contacting us at the address below. You have the right to ask us what personal information of yours we hold and process by making a ‘right of access’ request under the General Data Protection Regulations. If we do hold information about you we will: give you a description of it; tell you why we are holding it; tell you who it could be disclosed to; and let you have a copy of the information in an intelligible form. A small processing fee may apply. Any requests about how we store and process personal information should be sent to customersupport@redseaholidays.co.uk. or write to: Data Protection Manager, Red Sea Holidays UK Ltd, 4 Snow Hill, London EC1A 2DJ. If you have a complaint about your holiday while you are away, you should tell the accommodation management or the airline staff immediately. If they are unable to resolve the problem, you should contact our resort representative straight away and we will do our best to assist. If our resort representative is not available, you should contact us directly by phone, fax or email. If we are unable resolve the problem at the resort or during your flight, and you are still not satisfied on your return to the UK, you must notify us in writing within 35 days of your return from holiday to allow us to investigate your complaint properly. You should send your letter to our Customer Services Department at Red Sea Holidays, 2nd Floor, 4 Snow Hill, London EC1A 2DJ. If you do not give us the opportunity to resolve any problem locally by reporting it to the supplier, our representative or by calling/faxing/emailing us, our ability to investigate the issue could be seriously hampered, and we may not be able to deal with your complaint on your return (unless there is a valid reason why you did not inform us). You can, of course, pursue your claim elsewhere. Disputes about your holiday that we cannot settle can be referred to arbitration under a special scheme administered by the Chartered Institute of Arbitrators. The scheme provides a simple and cheap method of arbitration based on documents alone. It does not apply to claims over £5,000 per person or £25,000 per booking form. A limit of £1,000 per person applies to any part of a claim for personal injury or illness. You must apply for arbitration within nine months of your return from holiday, but in special circumstances it may be offered outside this period. Information regarding complaints may be shared with other tour operators. ® Red Sea Holidays logo is a registered trade mark of Red Sea Holidays UK Ltd.